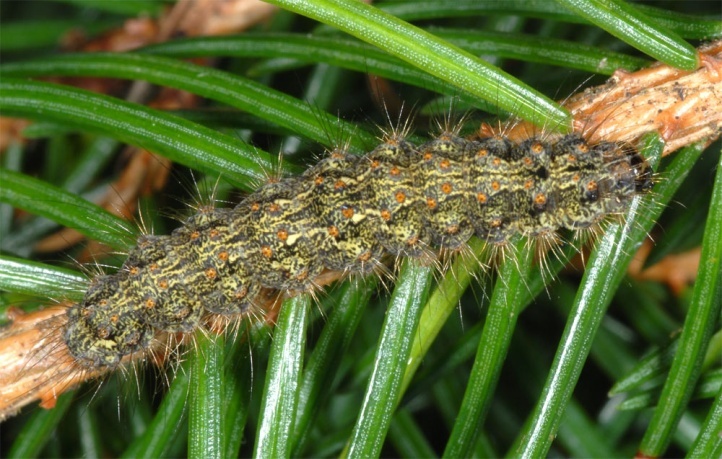 In the first place the caterpillars feed on algae of spruce branches (more rarely also deciduous trees), but also on lichens and moss. 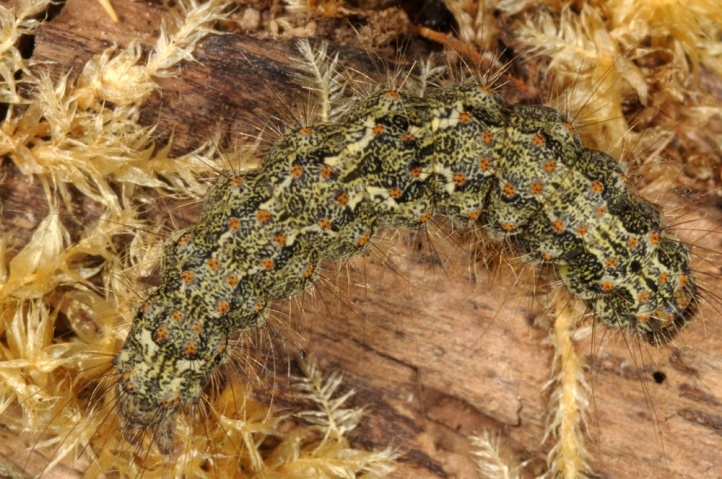 Atolmis rubricollis inhabits coniferous forests of all kinds. 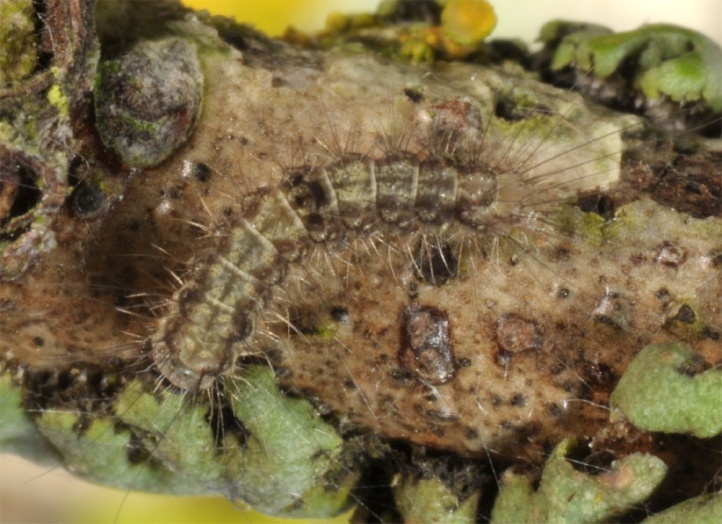 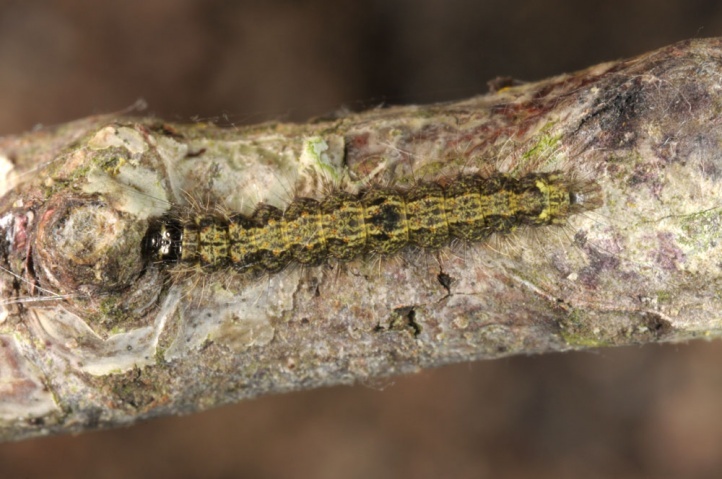 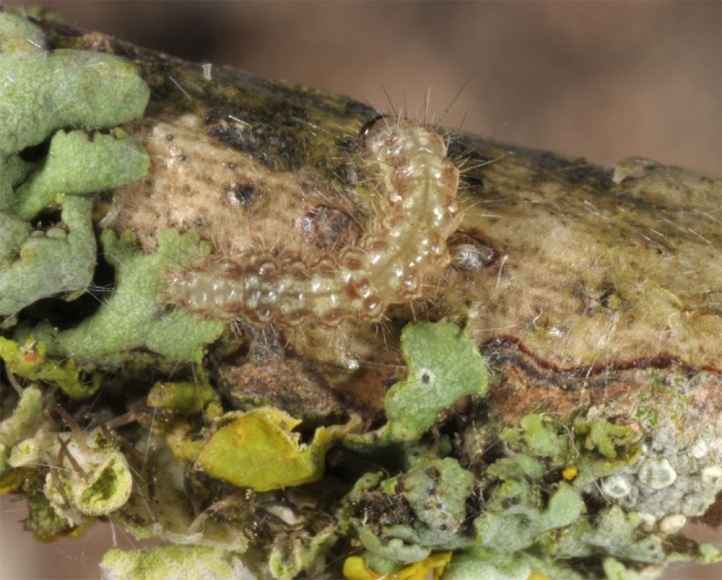 I observed larvae (beating method) also on deciduous trees that were interspersed with Clematis vitalba at the northern border of the eastern Swabian Alb (Germany). 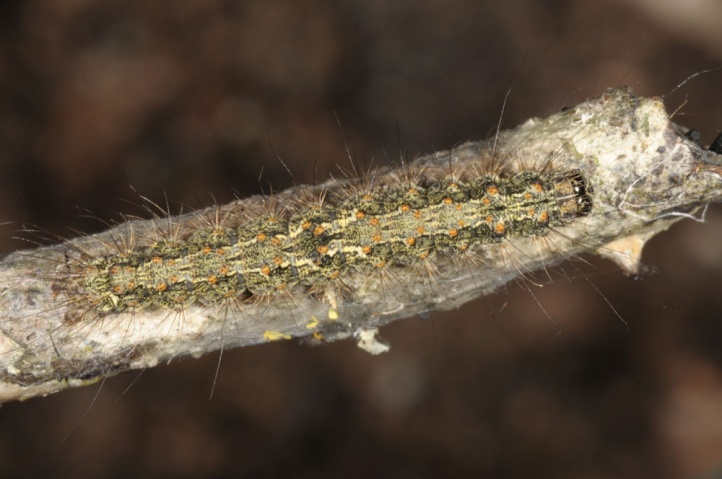 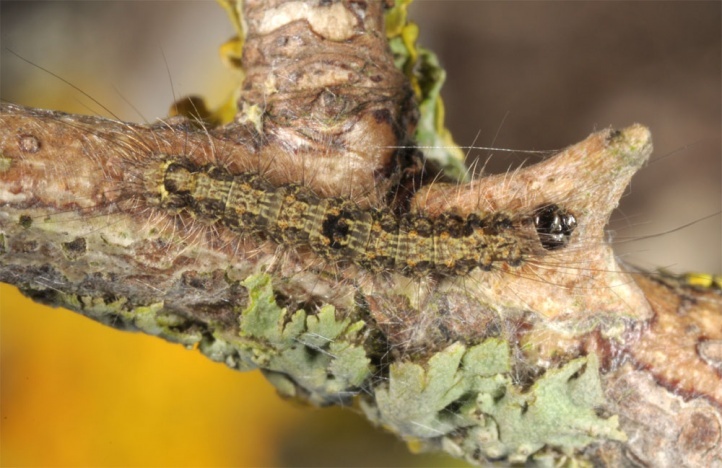 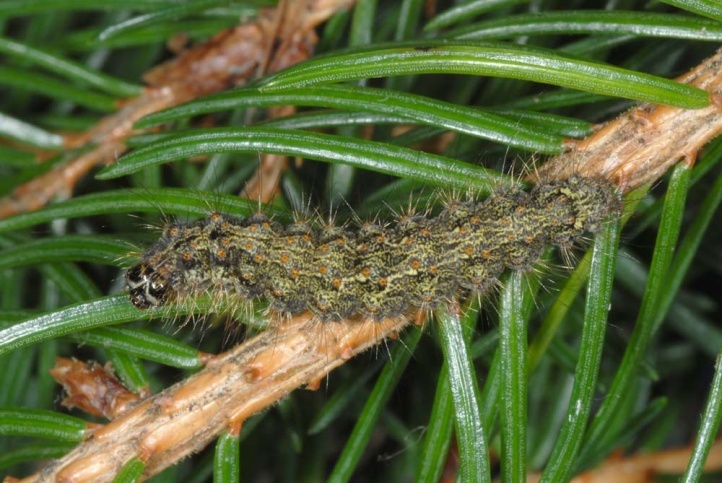 The mature caterpillars can be beaten from the lower branches of older spruce trees at often shaded, humid forest roads in the late summer and early fall (August/September) where green algae are grazed. 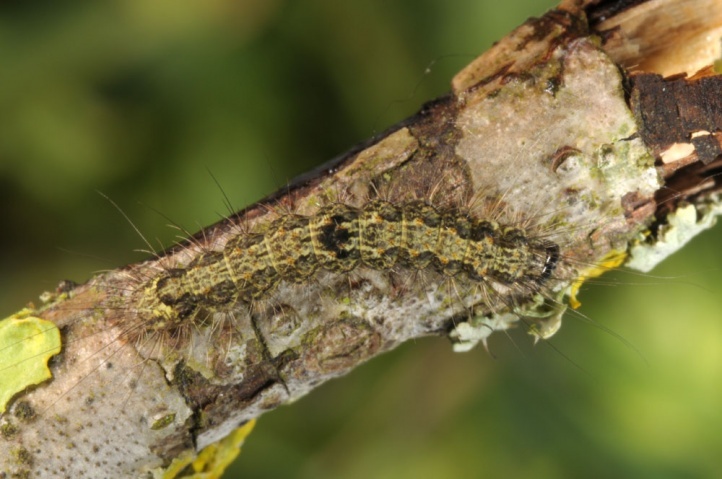 In this way, I found near Memmingen dozens of caterpillars, partly together with Hyloicus pinastri, Dendrolimus pini and Panthea coenobita. 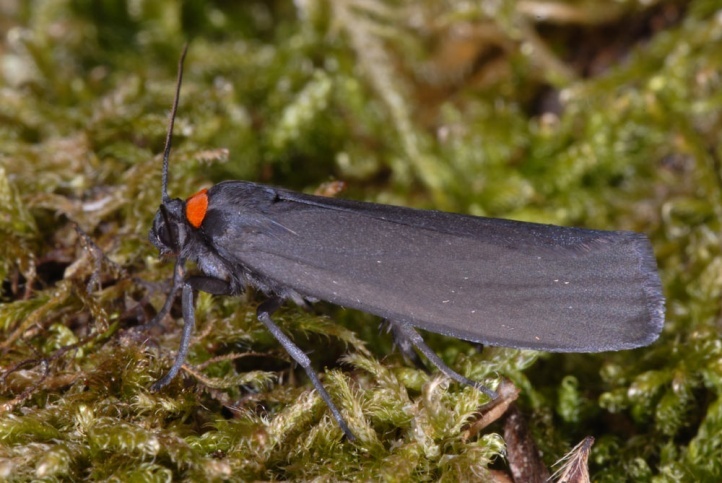 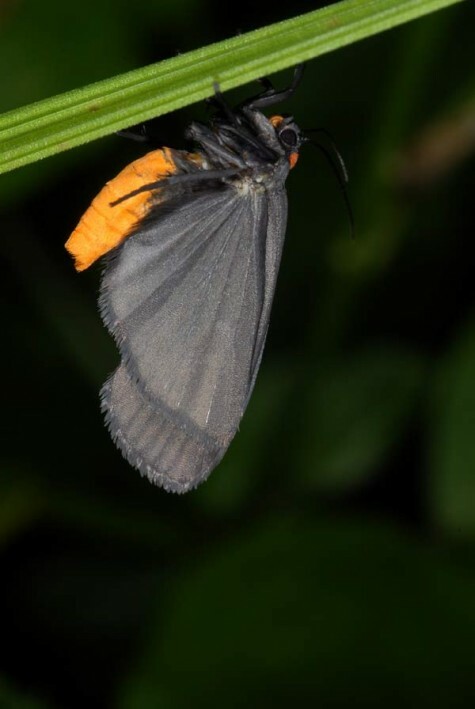 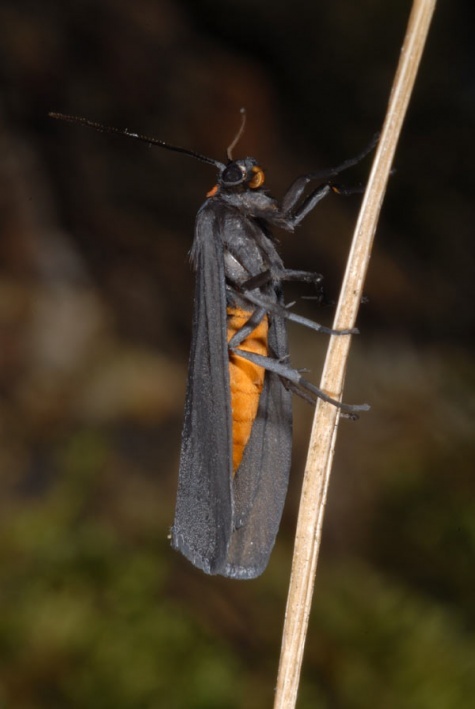 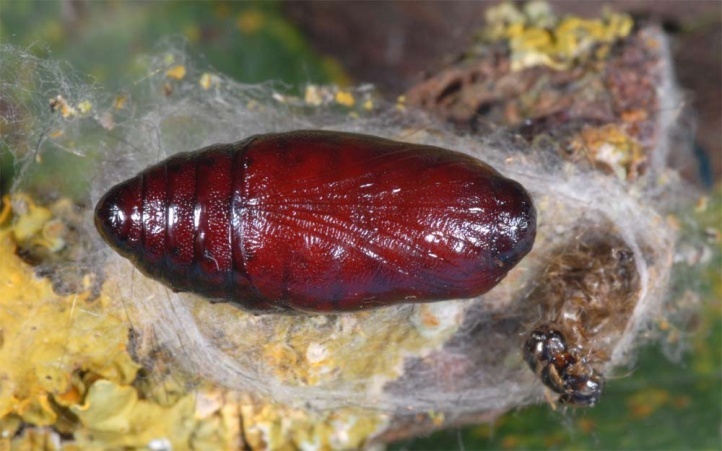 The pupa overwinters and moths are found from mid-May to July. 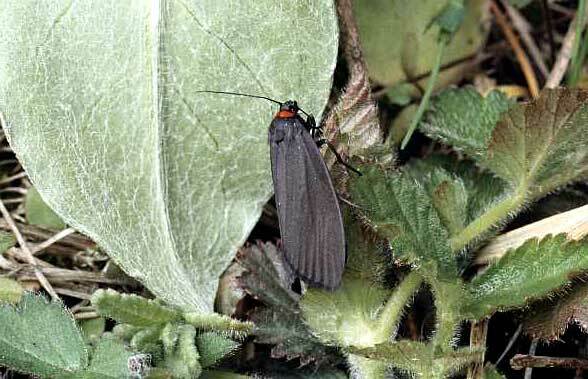 Atolmis rubricollis is distributed from northern and Central Europe to the Amur region.